When it comes to overhead costs, energy is a huge part of any business’s expenses. However, a lot of business owners either don’t know how to reduce their energy bills or simply don’t think any changes they will make will make a noticeable difference. But there are many ways that you can make significant savings by making adjustments and embracing smart technology. Here are a few of them. Lighting can have a big impact on a business’s operating budget and LED lighting can be a great cost-saving option. LED lighting has many advantages over other lighting options. For one, they last much longer than traditional bulbs. In fact, you can expect to get a maximum of 2,000 hours of lighting for a regular bulb while LEDs can provide you with up to 50,000 hours. This means not only will you have to replace bulbs less often, you can also save money by having to pay for facility-wide installations. And the quality of light produced by LED bulbs is much better than a traditional incandescent fixture. Your employees will enjoy the change and your clients or customers will also be able to tell the difference. If you’re not sure of how to make the most from lighting with LEDS, firms like Conservergy can help you with making the change. They help with lighting design and can install LED lighting solutions to get the most from your space. Smart meters are computerized meters that monitor and control processes such as lighting, heating, ventilation and security systems. Installing smart meters could significantly reduce your equipment operating costs and help create a more sustainable and greener workplace for you and your employees. If you operate from a large workspace or office, then you’ll benefit the most out of smart meters. However, before you decide to install them, make sure that you notify your landlord first since you’ll be making modifications to the building’s infrastructure. Smart lighting systems use software and sensors to control lighting according to the environment. For instance, they can automatically dim lights during daylight hours and re-adjust them at sundown. Smart thermostats work basically in the same way. They will automatically re-adjust themselves according to ambient temperatures and weather conditions. Both smart lighting and heating could make a big difference on your monthly energy bills. If your business owns a fleet of vehicles, then you have to take their energy consumption into consideration as well. There is a wide variety of new software that will allow you to monitor how much energy your vehicles are consuming. It can also monitor your drivers’ driving habits and see if they have any influence on the amount of energy they’re using. The software will analyse the information to come up with recommendations to help you optimize your fleet routes and fleet usage. 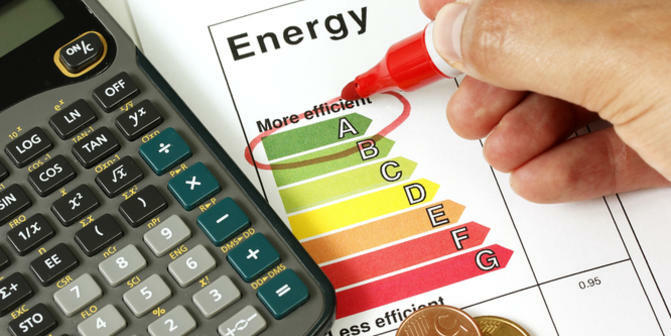 All these options will allow your business to cut on your energy bills significantly. And they’re also fairly simple to implement. Also Checkout Things to be kept in Mind While Choosing a Financial Advisor.